NGINX is a capable accelerating proxy for a wide range of HTTP‑based applications. Its caching, HTTP connection processing, and offload significantly increase application performance, particularly during periods of high load. You configure TCP and UDP load balancing in the stream context instead of the http context. The available directives and parameters differ somewhat because of inherent differences between HTTP and TCP/UDP; for details, see the documentation for the HTTP and TCP Upstream modules. NGINX Plus extends the capabilities of NGINX by adding further load‑balancing capabilities: health checks, session persistence, live activity monitoring, and dynamic configuration of load‑balanced server groups. This blog post steps you through the configuring NGINX to load balance traffic to a set of web servers. It highlights some of the additional features in NGINX Plus. For further reading, you can also take a look at the NGINX Plus Admin Guide and the follow‑up article to this one, Load Balancing with NGINX and NGINX Plus, Part 2. With this simple configuration, NGINX forwards each request received on port 80 to web-server1 and web-server2 in turn, establishing a new HTTP connection in each case. By default, NGINX uses the Round Robin method to spread traffic evenly between servers, informed by an optional “weight” assigned to each server to indicate its relative capacity. The IP Hash method distributes traffic based on a hash of the source IP address. Requests from the same client IP address are always sent to the same upstream server. This is a crude session persistence method that is recalculated whenever a server fails or recovers, or whenever the upstream group is modified; NGINX Plus offers better solutions if session persistence is required. The Least Connections method routes each request to the upstream server with the fewest active connections. This method works well when handling a mixture of quick and complex requests. In NGINX, weights are managed independently by each worker process. NGINX Plus uses a shared memory segment for upstream data (configured with the zone directive), so weights are shared between workers and traffic is distributed more accurately. If there is an error or timeout when NGINX tries to connect with a server, pass a request to it, or read the response header, NGINX retries the connection request with another server. (You can include the proxy_next_upstream directive in the configuration to define other conditions for retrying the request.) In addition, NGINX can take the failed server out of the set of potential servers and occasionally try requests against it to detect when it recovers. The max_fails and fail_timeout parameters to the server directive control this behavior. 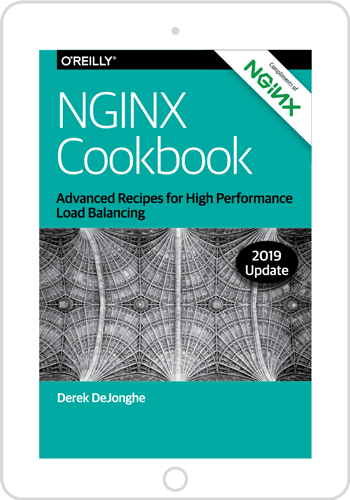 For details about advanced load balancing and proxying, see the follow‑up post to this one, Load Balancing with NGINX and NGINX Plus, Part 2. To try NGINX Plus, start your free 30-day trial today or contact us to discuss your load‑balancing use cases.